To some extent, the same is true with AI-based technologies. In fact, studying the interface that surrounds the AI could be similar to typical user research around any hardware or software interface. But an examination of the AI itself still involves some important methodological considerations and adaptations…. See full article: Lebson, Cory. 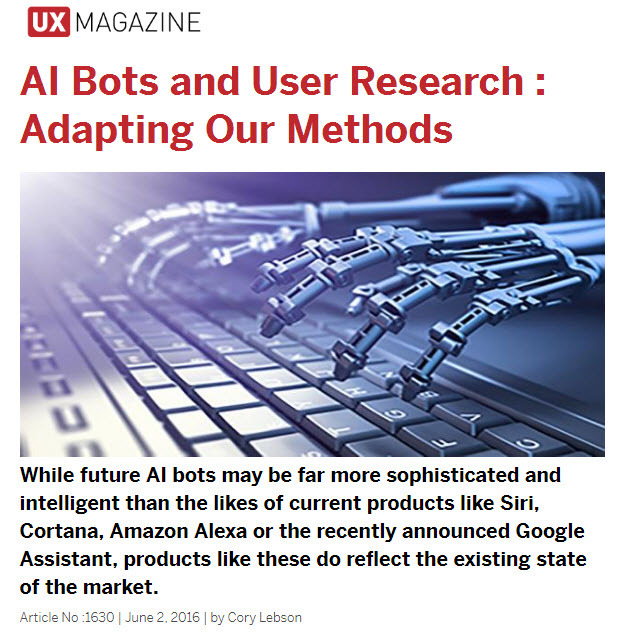 “AI Bots and User Research : Adapting Our Methods” UX Magazine June 2, 2016: Article No. 1630.